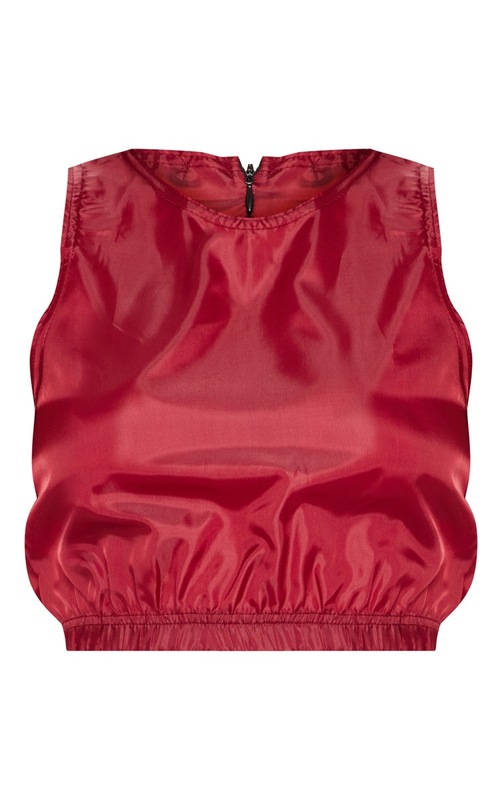 Channel a sports luxe vibe in this killer crop top. 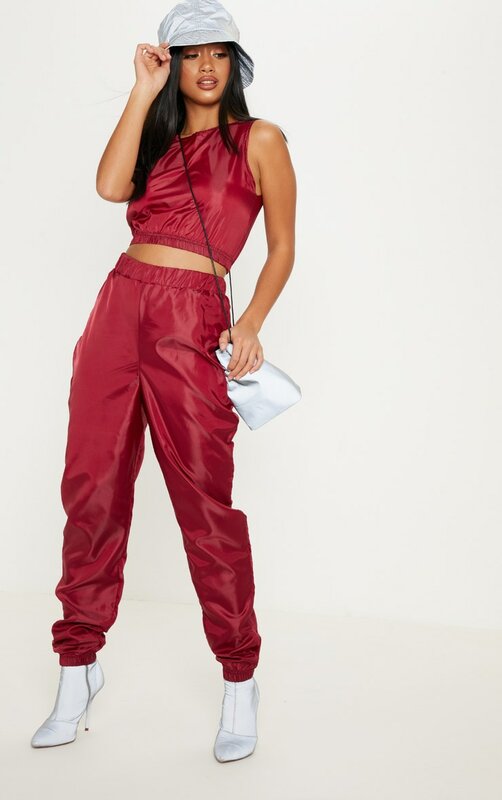 Featuring a burgundy shell suit fabric with a sleeveless design, elasticated waistband and cropped length, what's not to love? Team with the matching joggers and reflective sock boots for a cool, off-duty vibe.